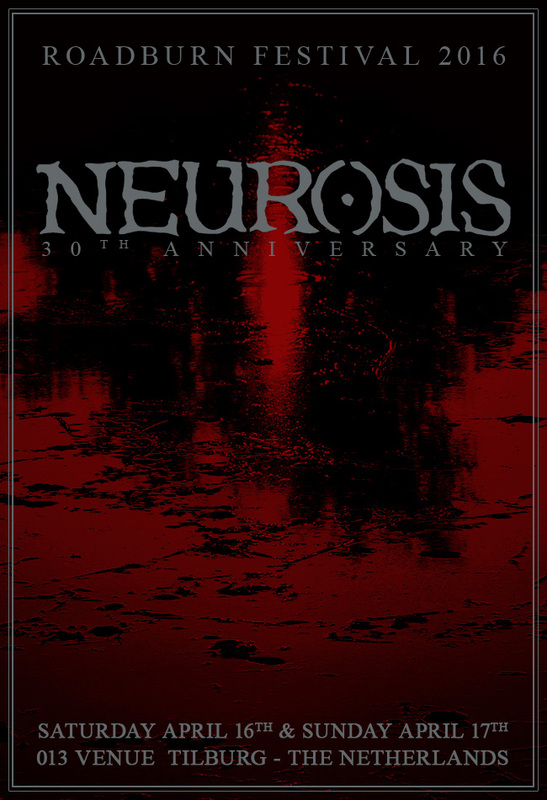 Roadburn 2016 Will Host NEUROSIS’ 30th Anniversary CelebrationsRoadburn Festival is elated to announce that our spiritual brethren from NEUROSIS will celebrate their 30th anniversary at the 2016 edition of the festival. The iconic, California-based band have planned just two events to mark this career milestone – one of which will be in San Francisco (March 4 & 5 at the Regency Ballroom), the other at Roadburn. 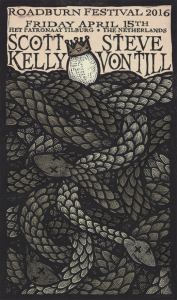 „To be invited to celebrate our 30th anniversary in Europe at Roadburn is an absolute honor. Roadburn is a treasured and unique event that embodies the spirit of open minded community and original, emotional heavy music. We are humbled to be a part of it again“ – NEUROSIS, August 2015. NEUROSIS will in fact perform twice at Roadburn 2016 – as headliners on both Saturday 16 April, and on Sunday 17 April. 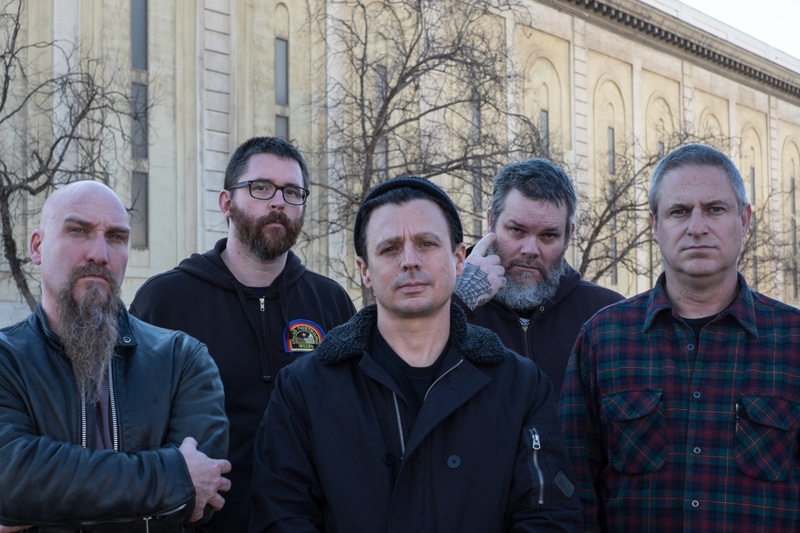 The two sets will span the band’s entire career, showcasing NEUROSIS’ comprehensive evolution from their primitive beginnings to the seminal, epic outfit they are today –the band’s ever evolving, sonic palette has become a template for underground music over the last three decades, and resist genre classification. Starting on Saturday night, and when closing the festival on Sunday night, NEUROSIS will delve into tracks from their entire discography – from debut release Pain of Mind right through to 2012’s Honor Found In Decay. Each set will be completely different, and each album will be explored, allowing the band and the audience alike to revisit various parts of the band’s history. NEUROSIS are very much a part of the tapestry that makes up Roadburn’s legacy; the announcement of their first headline slot at Roadburn 2007, marked a stylistic shift for the festival. It’s the origin of what Roadburn has become today – artistically and musically. Having NEUROSIS to curate Roadburn 2009, and bringing the European version of Beyond The Pale to the festival, was our humble way of honoring their enormous contributions to the evolution of heavy music. Over the years, we have also played host to many NEUROSIS-linked side and solo projects, as well as bands that nestle under the Neurot Recordings label umbrella. Now, with the band celebrating their 30th anniversary at Roadburn 2016, we feel that the festival finally has come full circle – there isn’t anyone more attuned to the atmosphere and energy of Roadburn than NEUROSIS, and offering them the opportunity to the celebrate their 30 years of existence at the festival, is a heartfelt tribute to their iconic style and sound that has influenced us all so much. Roadburn Festival takes place between 14 – 17 April 2016 at the 013 venue, in Tilburg, The Netherlands. Ticket announcements will follow in due course.